It’s got cursing in it and stuff, so it’s not like we’re pitching networks or anything, you know? We’re pitching all the usual streaming suspects I would imagine and cable networks, so probably Netflix, Hulu, Amazon, Showtime, HBO—it’s a pretty limited pool for us because of the language factor, but it’s a weirdly family show. It’s just, you know, with a lot of cussing in it and stuff, but it’s funny, dude, I love it. Additionally, Smith revealed some details about the nature of the show itself, which will cast both the original actors and new ones to play their progeny. You could argue that’s a Godfather-type move, but since this is Smith, he refers to it as “taking my cues from one of my favorite programs in the world, Degrassi: The Next Generation.” So this multigenerational story about people who hang out at the mall will include most of the original cast—Smith admits he still hasn’t reached out to Ben Affleck yet, though you’d imagine getting him at a low point would be a smart play—even if it sounds like some of the original cast might just be sentient Easter eggs for die-hard fans. 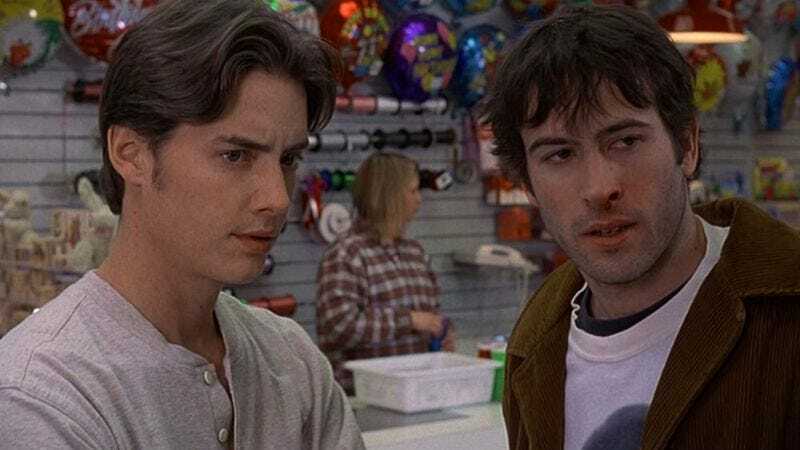 (“Like, all the characters came back in the Mallrats 2 script, but sometimes it’s just like, hey, it’s that person, you’re moving on,” Smith says.) And, of course, there’s always the possibility of actual rats being involved somehow. Before any of that, however, Smith is shooting another episode of The Flash, possibly one in a timeline where Mallrats was wildly successful and he didn’t have to subject us to films about Justin Long turning into a walrus.